I could understand how you felt when you were informed that there is once again, someone, the brother of your best friend, still youthful by today’s standard, in your long list of friends, who crossed over. (Sometime ago, you were there in the burial of your grandmother. And then after a while, attending the internment of your aunt. And as if it is not enough, a few days later, you were even the one who lay to rest your favorite pet dog. And now, as if your grief has as yet to wipe your tears away, you were a recipient of a request to check whether the brother of your best friend died alone in his own pad! You were there on rescue mode but your friend was correct, her brother died almost a day before you reached the place.) That is what life is all about. It is about getting born, having an education, being exposed to the vagaries of reality, competing, struggling, haggling and then the final outcome. It could be a long arduous climb to reach the top, or just to sustain what is there to find but nonetheless the end usually could spell a lot of difference. It’s a pity that I am not always there to explain philosophy nor interpret for your easy comprehension the meaning of life but it is often shown to us, at times in a morbid way or in less tragic manner, as in witnessing how health deteriorates, how accidents claim a passersby, how pedestrians are hit or mauled, whatever, the termination of the most phenomenal consideration of humanity has always been there with us since the dawn of time—that is, the making and the fulfillment of life. I tell you what. I have seen a lot of these matters, some before my eyes, as in executing the condemned men during my death penalty days; sometimes helplessly, waiting for time to claim a loved one whose body has been wracked by ailment, painfully at that; there are those who just called up to inform me of the passing of a friend, classmate, relative, neighbor, etc. Deaths are here, deaths are there. Where is it headed? When will be its turn for the rest, me included? Mortality has always been there, even to a busy mind. It reminds us of the end, and what should be done. Of course, we are all powerless when the time comes. No one is prepared anyway. It just arrives. It is a fact of reality which at times makes me envy on those who earn their upkeep in the process like insurance companies. Let us have an example. An innocent ant on the way to a leftover food, helping itself, barely a dust disturbed while coursing through may be trampled upon, or may be slapped by a disgruntled human being. It may not matter to us, superior beings, but such is also our fate in the bigger picture of the universe. We do not also count if at all size matters compared with the entire galaxy system. Even our planet is just a speck, what more our mortal bodies. We are mere incidents if not accidents in the entire galactic consideration. We merely ascribe importance because we have cognition which can be trained and educated. The same can also be attributed to all living things—be it small or grand. Where we refer to some kind analytical skill as intelligence or even intellectualism, lower animals, those we like to ogle in zoos have similar if not more keen intelligence than man, they call it, or simply put, we assign it as sensitivity or plain instinct. The problem with man is his ability to weep and be lonely. 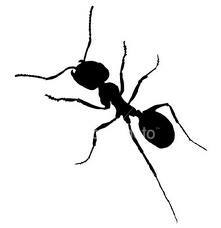 In the ant world, if one of their kinds is crushed, not one would sympathize. It may cause a little disruption and surprise but after a few seconds, they are off to their next station. The same can be said among elephants. But man is different. He is even given to vengeance if what happened has been deliberately committed against his friend or family, or even against himself, assuming he survives. Man’s sentiment carries him to a higher plane or conversely, brings him down to a dismal abyss of ignorance. Life comes and it goes. That is how our universe is since the first nucleus of life came into being, what it constituted, what it was made of, and that is precisely what reality is all about. Life exudes consciousness, a certain degree of awareness but that is only a figment, a sudden flash on what is and what existence is all about. The essence is on perception. Remember this dear child. Life is a celebration. Death is the culmination. That is how it is was, how it is and how it will be. That is one equation which we will always be encountering, as we have encountered and what we will in the near future expect to encounter. So next time you hear of a loss, just think about history. Or, probably if you wish to be a little off beat once in a while, think about the ant. Posted on October 22, 2012, in Uncategorized and tagged current-events, initial view, PHILOSOPHY, science, society, trivial concern. Bookmark the permalink. Leave a comment.